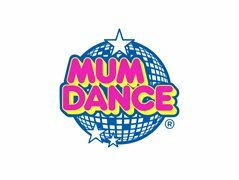 Mum-Dance, the UK wide 1980's Dance Class for Mum Bodies is recruiting self-employed Dance Teachers for its Mum-Dance classes across the UK. You will teach between 1-3 classes per week, all running 7.30 - 8.30pm on weekdays during term time. Successful applicants will have a formal dance training and teaching experience with lots of charisma and a great sense of fun. You must also love dancing to 1980's music and be able to inspire mums to get physical again. This is a great opportunity to be a part of a fun and exciting chain of dance classes. There are additional opportunities for cover other classes in the area, to produce choreography for the company and promotional opportunities to area/regional management roles. Prepare for class weekly by learning simple routines from video and download music list and lesson plan to deliver. Applicants must have at least one professional dance related reference. Applicants must have teaching experience. Applicants must be available to start work week beginning 23rd April. Email a link to your dance showreel (If you do not have a showreel you can make a short video of you dancing to Chaka Khan, I Feel For You, or KC and The Sunshine Band, Give it Up. The dance can be your own choreography, improvised or something you have copied). Prepare for class weekly by learning simple routines from video and download music list and lesson plan to deliver. Teach the class one evening a week. Create a fun and inspiring class which keeps hold of customers term after term.